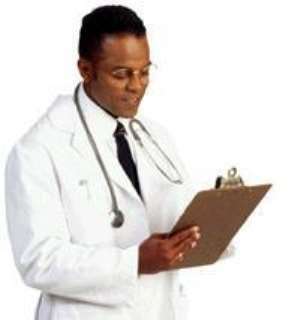 Accra, April 19, GNA - Mr Moses Dani Baah, Deputy Minister of Health, on Monday said the intervention of the over 180 Cuban medical practitioners currently working in remotest parts of the country had saved Ghana's Health Sector. "Without the Cuban doctors, Ghana would have found it extremely difficult to send doctors to the remotest parts of the country. "These doctors are doing very well, rendering needed services to our brothers and sisters in the rural areas", he said. Mr Dani-Baah was speaking at the opening session of the three-day 12th Session of the Ghana-Cuba Permanent Joint Commission for Cooperation in Accra. This year's session seeks to expand the field of cooperation between the two countries to include sports, tourism, culture and technical developments. Mr Dani-Baah stressed the need for Ghana to develop her own human resources that would be willing to work in remote parts of the country. The Deputy Minister expressed appreciation to Ghanaian trained doctors in Cuba, who on return to Ghana were prepared and willing to work in the remote areas and expressed the hope that in future more Ghanaian doctors would be attracted to such areas. Mr Dani-Baah said about 80 per cent of such Doctors, who gained scholarship to be trained in Cuba, were working in various health institutions with an efficient and effective monitoring mechanism. On implementation of decisions under the cooperation, the Deputy Minister stressed the need to whip-up efforts and understanding to ensure a mutually beneficial relationship. Mr Dani-Baah said Cuba had been able to eradicate malaria completely and Ghana would look at building cooperation in that regard to help control the disease in Ghana. He said the Ministry of Health would consider the procurement of vaccines from Cuba, which had the certification of the World Health Organisation to produce various vaccines.